A Quality Plant Wholesale palm tree farm in Ruskin, Florida sells and distributes almost all the type of palm tree you can imagine throughout the country. Type of palms is Areca palms, Sabal palms, Sylvester palms, Bismark Palms, canary date palms and Medjool date palms. The wholesale palm tree specializes in palms, and they have their nursery. 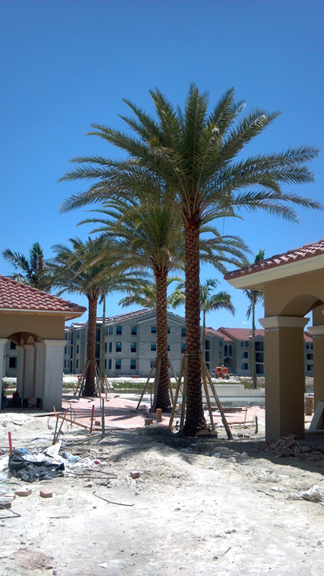 Delivery of Wholesale Palms is provided shipment to locations within the United States including Jacksonville, Florida. At A Quality Plant wholesale palms we ship to Jacksonville, Florida our palms are nurtured with a fully automated irrigation system and an extensive nutritional program. The growing of these palm trees makes them easy to monitor their growth and regulate the watering. The wholesale palm tree has specialized in dealing with palm trees in the United States and is among the largest. They also deal in selling the palm trees around the state to people who are interested they can get a quality of palm trees. Palm trees are associated with beauty and great lifestyle mostly. They bring the landscape to look lovely and awesome no wonder people who go to beaches, vacations, swimming pool, botanical garden, along coast and resorts. The palm trees species are over 2500 different in the world, and almost all can be grown in Florida. Palm trees vary in type by their trunks, leaf structure, size, growth rate and cold tolerance. Some require different climate, and they are adapted depending on the weather, salty and drought tolerance. And every palm tree has its own scientific name which has two words like for example Caranday is called Copernicia alba and Chinese fan is called Livistona Chinensis. When you want to choose a palm tree for your new gardening, I would advise you to give us a try for all of your wholesale palms for your Jacksonville, Florida landscape. We offer a wide variety of wholesale palms to choose from and the one that will fit the climate of your location. They also ship t for you hence no worry about the transport of it. The at A Quality Plant we will advise you on the plant care from planting, watering, trimming to cold protection. Without the proper care of palm trees, they would not have healthy growth, and they would not grow to your expectation. Plant care is critical when a plant is still young to nature it well. The palm trees bring about the warm tropical climate like that around beaches. In Florida, all that you can think of it is the beautiful tropical weather and lovely palm trees that have grown in Florida. Its climate is favorable to its growth in the Jacksonville, Florida.